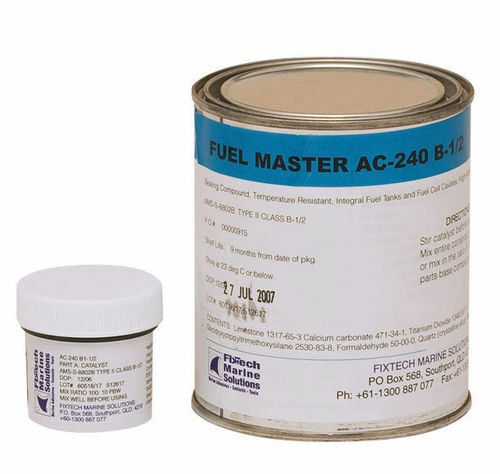 Fuel Master FAC240 - FM30 Class B is a two-part polysulfide paste, USA Certified product that has an open time of 30 minutes. FAC240 - FM30 is a quick turn around rapid cure adhesive sealant for use in marine, automotive and aircraft fuel tanks. The mixture has a thixotropic non-sag consistency, and can be readily applied with a spatula or extrusion gun to form an adhesive seal. 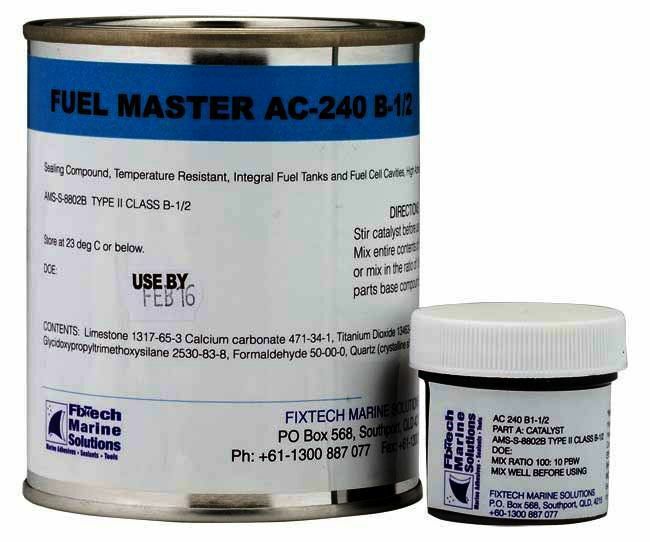 It will cure to a 100% fuel resistant rubber, at temperatures above 50C, and exhibits excellent tooling properties with very low shrinkage.